As for the inductees going in, here’s what you need to know. This year’s class features one of the most storied and accomplished running backs in the league’s history, former Pittsburgh Steeler Jerome Bettis, as well as former Oakland Raiders wide receiver Tim Brown, and late legendary linebacker Junior Seau of the Chargers. This year’s class is two shy of 2014’s, which was led by defensive stars Derrick Brooks and Michael Strahan, and receiver Andre Reed. The class also includes two contributors. Bill Polian, who built up the Buffalo Bills, Carolina Panthers, and Indianapolis Colts as a general manager, and Green Bay Packers general manager Ron Wolf. Others include guard Will Shields, center Mick Tingeloff, and defensive end Charles Haley. Check out Roger’s recent interview where he talks 49ers, Levi’s Stadium, and of course, his CHATOGRAPH™ event! 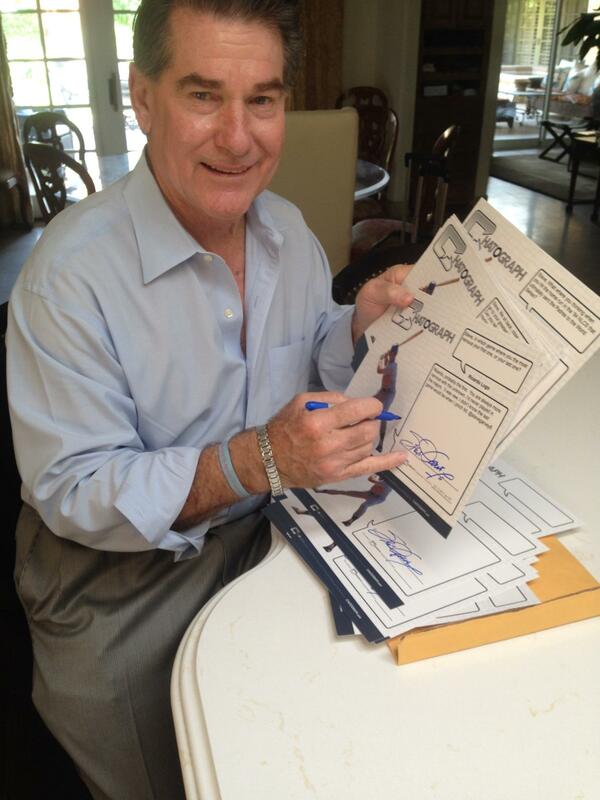 Recently added to the CHATOGRAPH roster, Roger Craig is a welcome addition to the team! Known for his high-knee running style, Roger is one of the iconic members of the 49ers dynasty. Craig was drafted in the second round of the 1983 NFL draft by the San Francisco 49ers after attending the University of Nebraska, where he once held the record for longest run from scrimmage (94 yards, set during a 1981 game against Florida State University). In his rookie year, he scored a combined 12 touchdowns rushing and receiving, as the 49ers reached the NFC Championship game that year. On January 20, 1985, in Super Bowl XIX, Craig became the first player ever to score three touchdowns in a Super Bowl during the 49ers’ 38–16 victory over the Miami Dolphins. The following season Roger Craig became the first player in NFL history to run and receive for at least 1,000 yards in the same season. He ran for 1,050 yards on 214 carries and led the NFL with 92 catches for 1,016 yards. He scored a team high 15 touchdowns. In 1988, Craig was named NFL Offensive Player of the Year by the Associated Press. He ran for a career high 1,502 yards and caught an additional 76 passes for 534 yards. A memorable game occurred in week 7 against the Los Angeles Rams. He scored three rushing touchdowns and ran a career high 191 yards. He went on to assist the 49ers to Super Bowl XXIII by amassing 262 combined rushing and receiving yards and two touchdowns in their two playoff games. In the 49ers’ 20-16 win over Cincinnati in that Super Bowl, he rushed for 71 yards and caught eight passes for 101 yards. In the 1989 season, the 49ers advanced to the Super Bowl for the second year in a row, aided by Craig’s 1,527 combined rushing/receiving yards and seven touchdowns in the season, along with his 240 combined rushing/receiving yards and two touchdowns in their two playoff games. 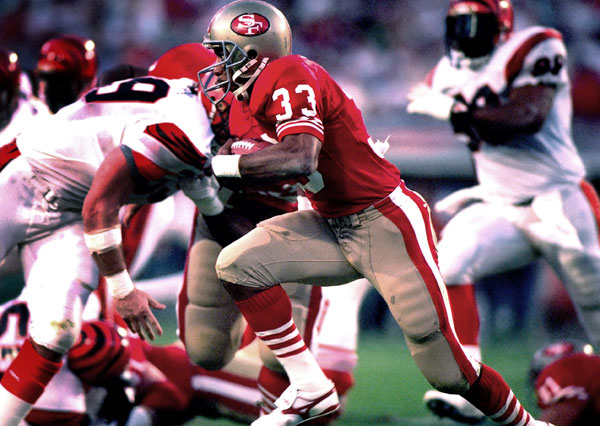 In San Francisco’s 55-10 win over the Denver Broncos in Super Bowl XXIV, Craig rushed for 69 yards, caught five passes for 34 yards, and scored a touchdown. Craig played one season with the Los Angeles Raiders and two with the Minnesota Vikings before he retired after the 1993 season. Craig appeared in the NFL Playoffs every year of his career, and made the Pro Bowl four times (1985, 1987–1989). 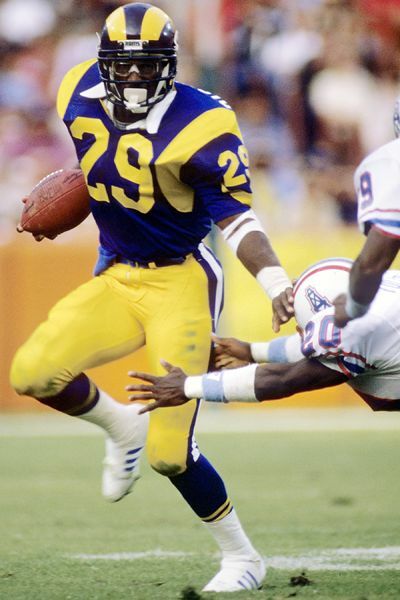 He was the first running back to gain more than 1,000 yards rushing and 1,000 yards receiving in the same season (1985). 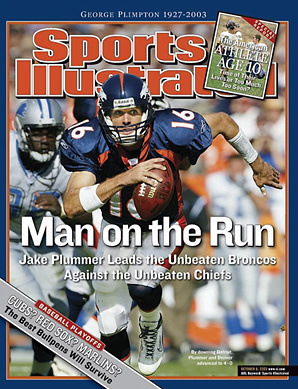 Since then, only one other running back has achieved the same feat (Marshall Faulk in 1999). Craig also caught a then-record 92 passes in the 1985 campaign. In 1988, Craig set a then-franchise record of 1,502 yards rushing. 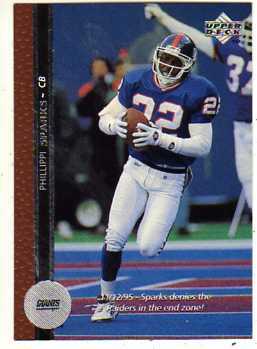 The 1988 season was the second time Craig broke the 2,000 combined yardage mark in his career. As of today, Roger Craig remains the only running back to lead the NFL in receptions for a single season, and the only one ever to record over 100 receiving yards in a Super Bowl. Roger is an avid fitness enthusiast who has run multiple marathons. Just as successful in the business world as he was on the gridiron, Roger remains one of the most approachable celebrities and enjoys working with multiple corporate partners and business ventures. 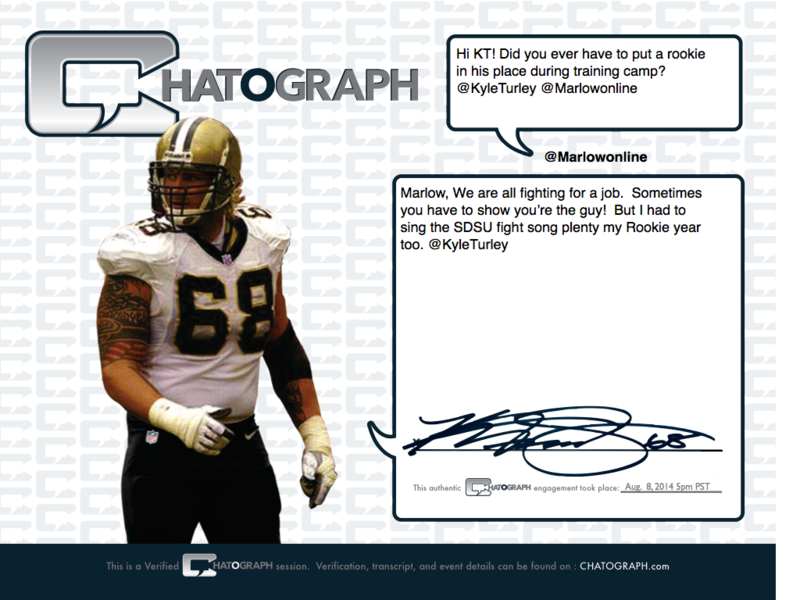 Want to here Kyle talking about his life in the NFL and his CHATOGRAPH event, click here! 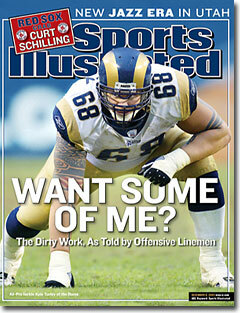 An offensive tackle who earned All-Pro honors while playing in the NFL, Turley thrived with the New Orleans Saints, St. Louis Rams, and Kansas City Chiefs. At over 300 lbs and with the quick feet he developed as a high school wrestler, Turley was known for both his blocking skills and his nasty demeanor. As a star player at SDSU, Turley was selected 7th overall in the NFL draft after an All-American season with the Aztecs. From the start, Turley was one of Coach Ditka’s guys made in the same tough mold as the Hall of Fame coach. Kyle’s most famous moment came, when protecting his QB Aaron Brooks, he ripped the helmet off of the Jets defender who was attempting to injure his signal caller. 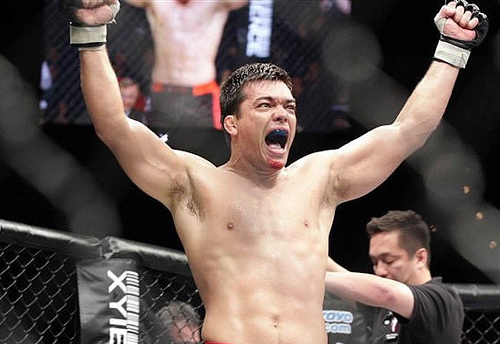 The infamous helmet toss that followed made big #68 an instant legend. As impressive as the outspoken lineman was as on the field, he was just as interesting off it with a list of unique hobbies including surfing and music. Towards the end of his NFL playing career, the lineman devoted more time to his musical talents and upon retiring from the NFL, Kyle formed the Kyle Turley Band. Now, with several albums to his credit under his Gridiron Records label, Turley has toured with legendary bands including Hank Williams III and Lynrd Skynyrd. With his combination of outspoken personality and loyalty, Turley also serves to promote the needs of retired NFL players in need. Teaming up with Coach Ditka, Kyle is a spokesman for Gridiron Greats and continues to tirelessly bring awareness to players who suffer ongoing injuries due to their commitment on the field. KT signs his transcript certificates after his one-on-one social media CHATOGRAPH chat with fans! 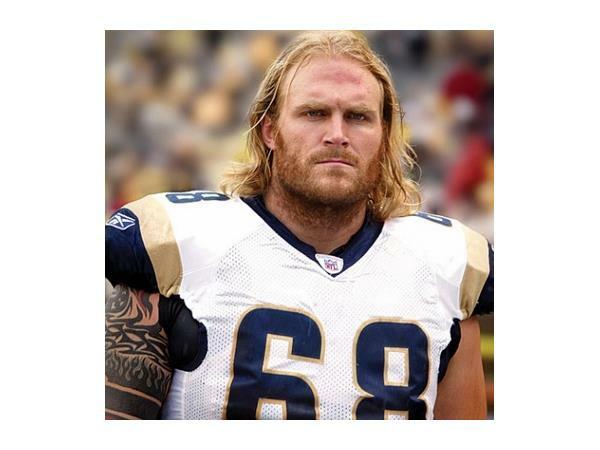 Former first round pick and All-Pro OL Kyle Turley engaged fans Saturday afternoon at August 8th at 5pm PST where he discussed everything from his greatest memory, teammates, and fans. 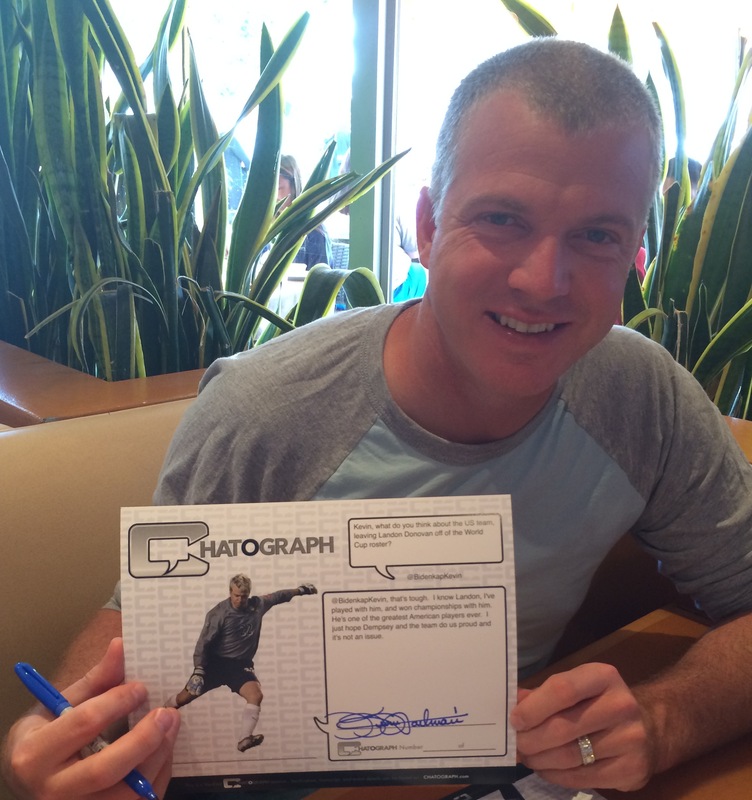 Turley signed CHATOGRAPH transcript certificates for a one-of-a-kind celebrity engagement for fans! Chris Boatman: Who were some of your favorite teammates at State? 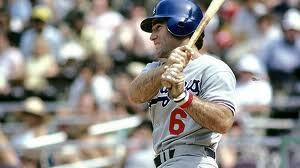 Who was the best athlete you played with? @KyleTurley: Chris, My O-line brothers were my favorite. Ephram Salam, Mike Malano, & others. Best athlete- @MarshallFaulk! @2400Baudboy: What were the biggest differences between football at the College level and at the NFL level? @KyleTurley: Good question Don- It was all great. Represented a smaller school as a first round pick as the first o-lineman taken. 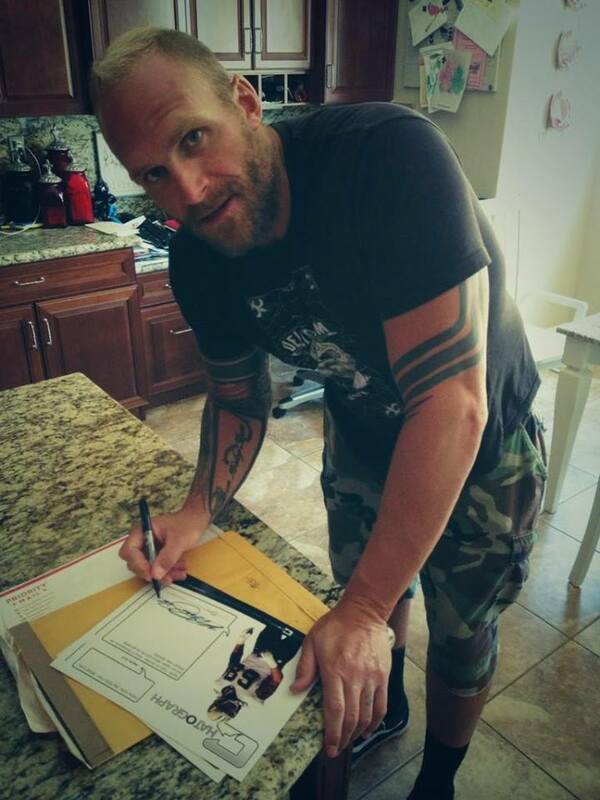 @KyleTurley: They will stop looking at the money directed towards benefits as the NFL’s own.